Elite Medical Billing Services Inc. Welcome to Elite Medical Billing Services, Inc.
Elite Medical Billing Services, Inc. is based in the Southern California area dedicated to relieving the pressures of the healthcare billing process upon physicians so that you may better allocate their time serving the community. By doing so, you are better compensated for your services knowing that we have coded claims accurately and efficiently thereby maximizing overall profits. Time is saved from hiring a coding and billing specialist, renting and maintaining office space, and keeping the staff up-to-date on billing inquiries. The office will also save money on necessary expenses such as salary, payroll taxes, office supplies, and overhead. More importantly, you are left doing what you love to do instead of handling the headaches from healthcare providers, insurance companies, and collection agencies. Our ultimate goal is increasing your revenue. By allocating this sector of business to us, you can feel confident about the work you do is paying off. Our staff can provide your office with a sense of relief knowing that your claims are being handled in a professional manner and there is no such worrying about inaccuracies or billing staff turnover. 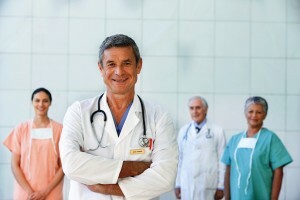 All of our clients are referral based which shows the satisfaction our current physicians are having with our services.